If you liked this show, you should follow Christian Biz Owners On Fire. Have you heard of the adage that says, “Leaders aren't trained, they're developed”? This is a subtle yet very important distinction lost on many. 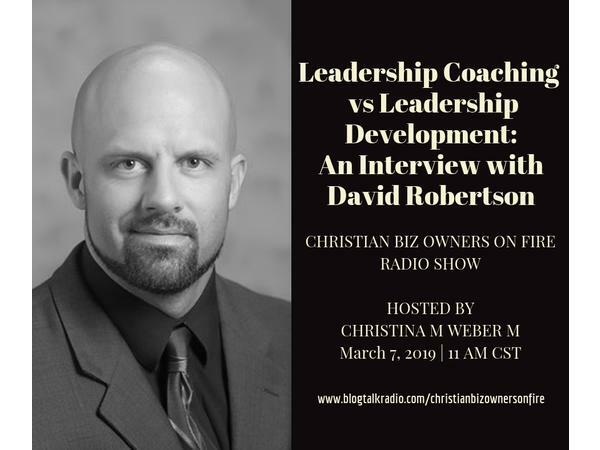 In this episode, our guest David M Robertson explains the distinction between leadership coaching and leadership development and how one is better than the other.